Do you know someone who has significantly advanced student transfer in BC? Do you work with a tireless transfer advocate? Are you looking for a way to acknowledge the achievements of a dedicated, long-standing colleague? Or perhaps you know a "Rising Star" who is already making strong, meaningful contributions, despite being relatively new to the world of transfer and articulation. 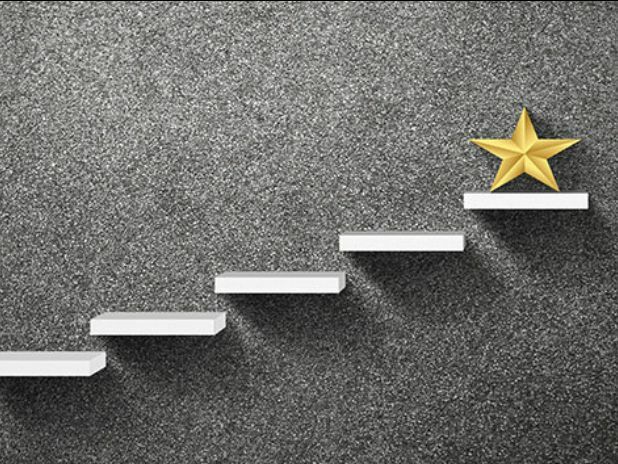 Each of these highlight and celebrate the distinctive, exemplary qualities demonstrated by individuals who work to improve student access and mobility in BC. 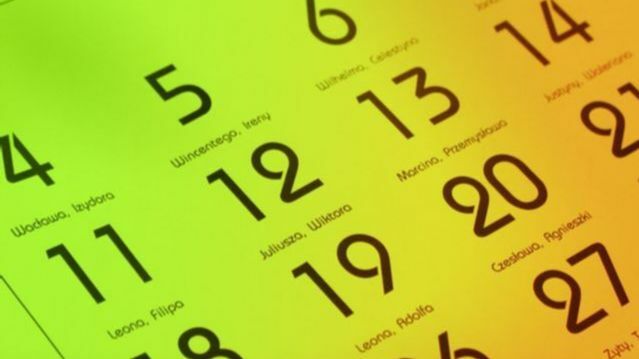 For more information, click here. This month, we're pleased to introduce you to Kristine Smalcel Pederson, a long-time advocate for the BC Transfer System. 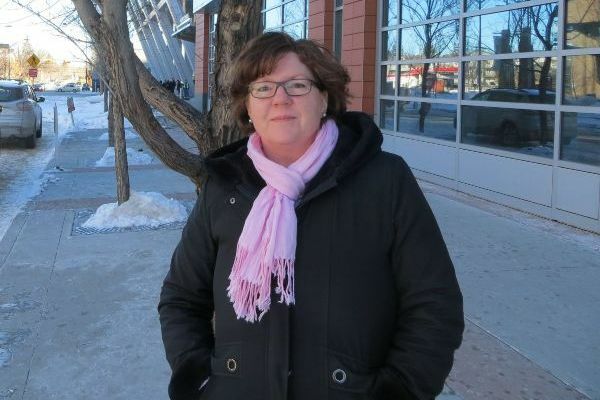 Kristine's experience has extended across a range of different roles and responsibilities over her career. Her strongest early memory of BCCAT "came in the form of a big, thick, paper copy of the BC Transfer Guide. It was the 'advising bible' at the Open Learning Agency because we had so many incoming and outgoing transfer students." 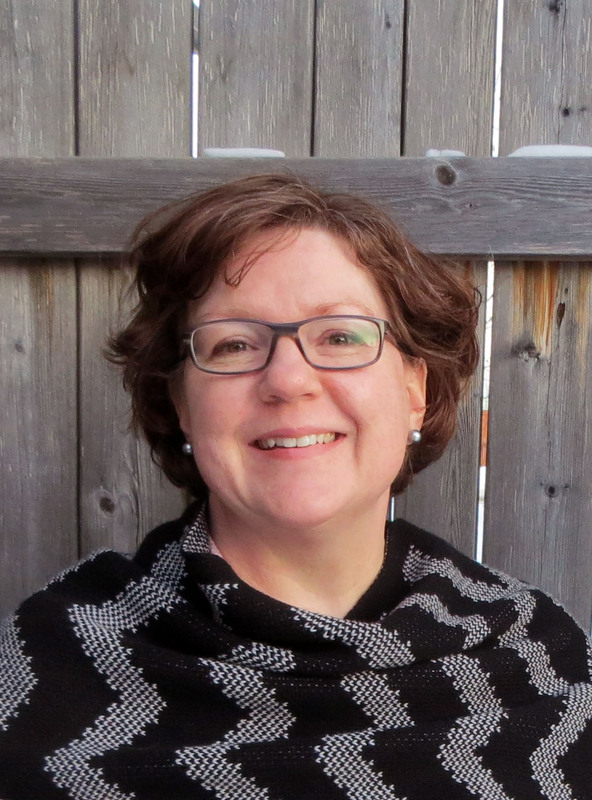 Kristine remembers her delight when the web-based Transfer Credit Evaluation System (TCES) was first launched and "transfer credit contacts" like her were finally able to move from the paper/email-based process to the online format for transfer credit requests. Check out this one-pager where Kristine reflects on the distinctive qualities of the BC Transfer System and the opportunities afforded to BC's post-secondary students. "In my current consulting role, working with various types of institutions across Canada, BC's transfer system is still my exemplar benchmark and is what I describe as the 'glue' of the BC post-secondary system." 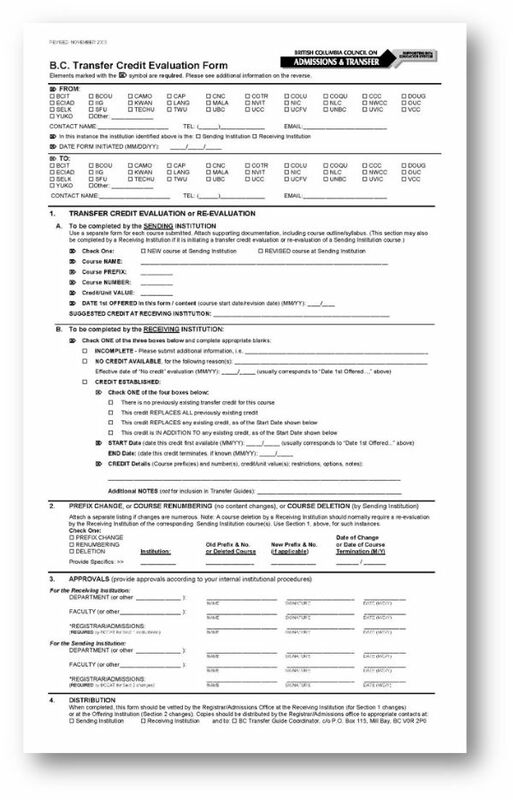 In 2001, BCCAT developed the Transfer Credit Evaluation Form to help improve the efficiency of articulation processes. This resource was later provided as a web-based service. Through the years, the Transfer Credit Evaluation System (TCES) has functioned as the central online application for creating and maintaining the transfer agreements that populate BCTransferGuide.ca. In 2018, BCCAT launched the new and improved Transfer Credit System (TCS) through collaboration with Campus Manitoba. By sharing technologies, Campus Manitoba developed its own web service (using the old BC TCES platform as a model) and BCCAT upgraded the BC system. 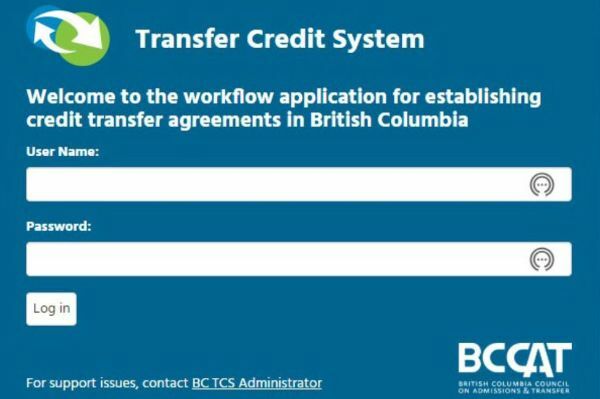 UBC is working with BCCAT to adapt the Transfer Credit System (TCS) to house all of their agreements outside of BC and internationally. Data is currently being imported into the TCS, which will be customized to allow for all of the agreements to be managed within the same interface. 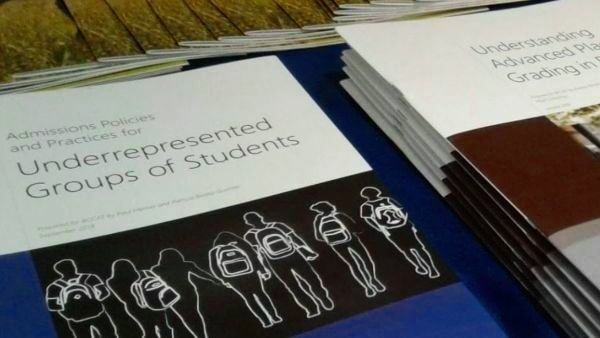 This data will then be available to all other post-secondary institutions, as well as on the UBC website. So far, about 40,000 non-BC and international equivalencies from both UBC campuses are scheduled to be imported. In addition, approximately 16,000 equivalencies to other BC Transfer System members have already been imported and published in the BC Transfer Guide. This pilot project has huge potential, with other BC post-secondary institutions already expressing great interest in following UBC’s lead. JAM 2019 is scheduled for November 1, 2019 at the Pinnacle Hotel Harbourfront in Vancouver, BC. 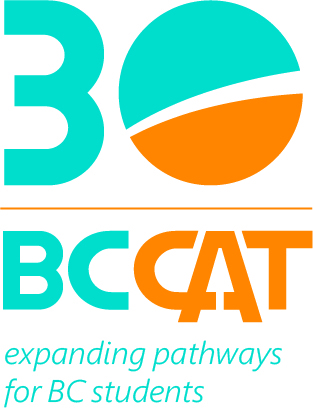 This year we look forward to celebrating BCCAT's 30th anniversary, working with post-secondary partners to facilitate transfer and articulation in BC. Stay tuned as plans unfold! 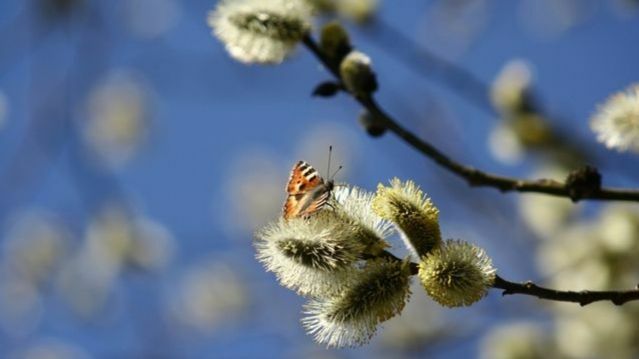 If you're looking for a brief overview of current BCCAT projects and transfer-related issues and developments, check out this two-page newsletter. Copyright © 2019 BC Council on Admissions and Transfer, All rights reserved. Sent by info@bccat.ca to <<Email Address>>.